In March of this year, Microsoft backed out of a deal to buy Slack deciding instead to focus on expanding Skype to handle business needs better, the work of which resulted in the recent release of Microsoft Teams, a Slack copycat of sorts. But Microsoft Teams will be competing with last month’s Slack — the one before Slack partnered with Watson, IBM’s portfolio of artificial intelligence technologies. Slack, an acronym for “Searchable Log of All Conversation and Knowledge” is an instant messaging tool for enterprise teams launched in 2013. After the deal with Microsoft had fallen through, Slack CEO and co-founder, Stewart Butterfield contacted David Kenny, General Manager, IBM Watson. Kenny, who had been his position for just 10 days, jumped at the chance to partner with Butterfield. 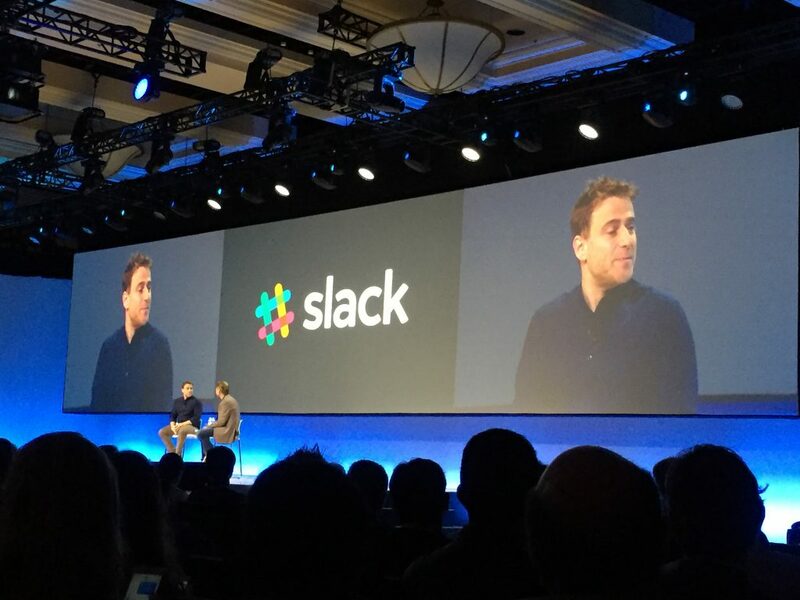 The resultant partnership, where Slack chatbots will be fueled by Watson’s machine learning for enterprise-level communication, was announced at the World of Watson in Las Vegas. The first step, he said, is combining Watson’s cognitive computing power with Slack’s digital workplace capabilities, starting with a Slack adoption of Watson Conversation for Slackbot. Once integrated, the bot will centralize communication and trouble-shooting in one channel. As the bot gathers data, it can more quickly and accurately address similar issues over time due to Watson’s machine learning technology. Throughout the World of Watson, Kenny called Watson a “cognitive assistant,” and he and Butterfield talked about how having Watson inside of Slack will take the communications to amazing places. In a session at World of Watson, he gave an example of how Watson can be utilized to manage setting up meetings, a seemingly simple task, but quite complex when broken down into programmable components. It’s not hard, he said, to write code to make sure meetings are not scheduled outside of business hours, the level of hard coding necessary to handle all of the situations that come up when scheduling meetings is enormous. But Watson can learn, for example, that when all three principles for a meeting are busy at the requested time, meetings with clients or candidates cannot be moved, but an in-house one-on-one can be rescheduled to make the meeting happen. Simple stuff for a human or a cognitive assistant, but prohibitively complicated to code. Butterfield talked about known use cases where Watson as a cognitive assistant can improve efficiency across teams that are not co-located. The majority of these cases, he said, are answers to simple questions that do not require human intelligence or creativity. Any leverage you can get on communication, he said, creates enormous value. For example, he said Butterfield, ninety percent of emails at JP Morgan Chase start out with ISO (In Search Of) queries, said Butterfield. For example, ISO a banker who understand Brazilian investment law. With Watson’s conversation, one could just ask the question, have Watson check through the position descriptions, and return contact information, or even send a message. Or how about teaching Watson to pull all the Slack conversations for a specific team you’re managing, sort through them and return to you a summary of what is important to you? Kenny gave a brief insight into this process in another session in answer to when Watson will begin speaking Thai. The good news is it’s taking less and less time with each language, and the Watson team is working on making Watson multilingual. He didn’t say whether the shorter times were because Watson was learning faster or because the humans were learning how to teach faster. Over time, the value keeps growing. Every time an employee in your organization teaches Watson something, that learning is available throughout the system. Kenny stressed that the Slack/Watson chatbots are still new and the kinks are still being worked out. Shortly, IBM will release a Botkit Watson middleware plugin, that will allow the Watson Conversation service to talk to Slack. The companies will also release an Application Starter Kit for developers providing code and step-by-step instructions for integrating Watson on the Slack platform. It looks like the news of Slack’s demise is a bit premature.